Hollywood has glorified and incorrectly depicted mental illness for decades. We are fascinated by individuals who commit mass murders for no apparent reason. But there is always a reason. We need to learn where those reasons come from and how to deal with them when they show up. Mental disorders such as ADHD/ADD, Bipolar, Anxiety, Depression, and PTSD can be successfully treated with a combination of medications and psychotherapy. Schizophrenia is a bit more challenging to treat because the patient’s visual and auditory hallucinations directly impact their commitment to seek and remain in treatment. Notice a lot of blatant lying, often for no reason? Consider that a red flag. It’s the seemingly pointless lying that should truly tell you there’s something going on. An inflated ego or sense of self-worth is another classic sign of a sociopath. These people take an overbearing interest in themselves and seem to be more interested in admiring or talking about themselves than interacting with anybody else. This can come across as selfishness and self-centeredness — two things that are easily identifiable in a colleague, friend, or family member given enough time. As you can see, many of these traits or behaviors cascade into one another. In this case, recklessness — and it’s easy to be reckless when you lack empathy and have a very high opinion of yourself. Reckless behavior can come in all shapes and forms, but the issue at hand is that a sociopath can’t or won’t see the connection between their behavior and the consequences of their actions. Add in some narcissism, and they’ll likely think they’ll get away with it, or can’t be punished for their behavior. Of course, when things don’t go the way the sociopath had planned, it results in explosive anger. Ever see someone absolutely fly off the handle, or have an ugly meltdown over a minor sleight, real or imaginary? That anger stems from the fact that the inner narcissist is seemingly out of control of their surroundings, which doesn’t jive with a sociopath’s world-view. A sociopath is going to attempt to play puppet master with the people in their lives. This is likely when many people realize they’re dealing with a sociopath; when it becomes clear that the individual in question is trying to pull the strings and manipulate those around them to get what they want. Again, they think they’ll get away with it due to their narcissism, and don’t care about the consequences. As you may have guessed, the manipulation, lying, anger, and recklessness easily drives people away. A sociopath is always surrounded by a new group of people — that is, until the sociopath’s toxicity drives yet another group of friends away. 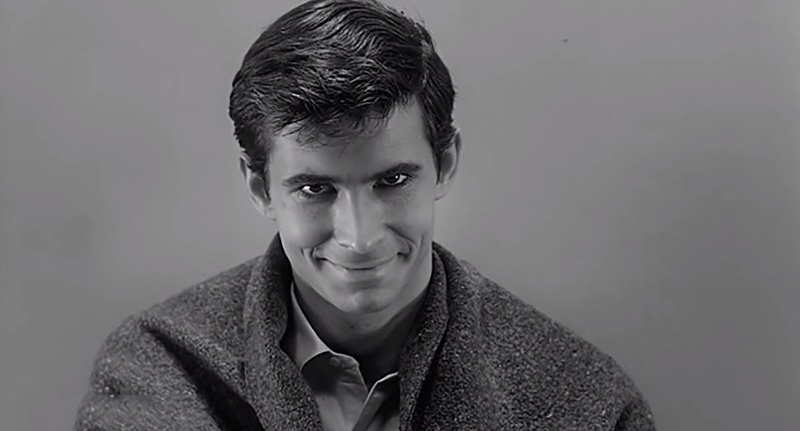 How many psychopaths do you think go to a psychiatrist for mental distress? None. Talk therapy, empathy training, or restorative justice doesn’t work because they can disassociate themselves from the issues. Per American Psychiatric Association (APA) the fifth edition of the Diagnostic and Statistical Manual of Mental Disorders (DSM-5), psychopathy is considered the most dangerous of all antisocial personality disorders because of the way psychopaths dissociate emotionally from their actions, regardless of how terrible those actions may be. 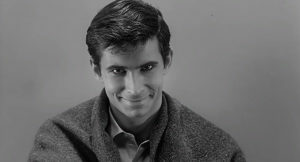 Finally, APA states the psychopathy is related to a physiological defect that results in the underdevelopment of the part of the brain responsible for impulse control and emotions. 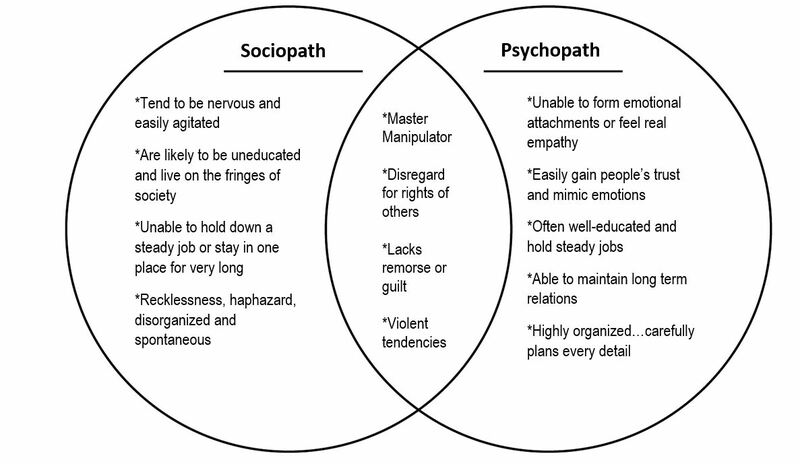 Sociopaths, on the other hand, is more likely the product of childhood trauma and physical/emotional abuse. Because sociopaths appears to be learned rather than innate, sociopaths are capable of empathy in certain limited circumstances but not in others, and with a few individuals but not others. Whether you’re a parent, spouse, family member, friend, neighbor or authority figure, knowing who you’re dealing with may be the difference between life and death. Please reflect on consistent behaviors of individuals who possess traits discussed in this post. Know that everyone who tells a lie, gets angry, or doesn’t think something through is not a sociopath, or in reverse, not a psychopath. 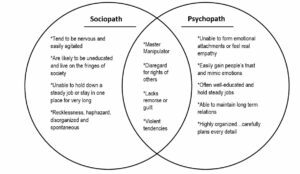 Sociopath and psychopath traits need to be displayed often and over long periods of time.